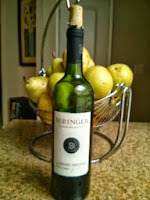 Beringer's Cabernet Sauvignon offers a light ruby red wine with a high fruit taste. Think of black berry, plumb, cherry and a touch of pepper. Upon opening you should expect an aroma of high pitched fruit cocktail. Its contour is smooth and offers a mild tannin kick on the back of the tongue with a light palatable aftertaste. Hanging tears are average and the wine is medium bodied in volume. The Beringer winery started with an interesting immigration story. A German by the name of Jacob Beringer immigrated to New York in 1868. He and his brother moved to California and started one of the first wineries in Napa Valley in 1875 with their purchase of 215 acres for $14,000. They produced 40,000 gallons of wine in the first year which is considered an astonishing amount. In 1967 the winery became a historical landmark and is visited by people from around the world. The winery has tours open to the public for around $25. You may see the 1,200 foot Chinese labor built linear tunnel for storage, the Rhine House, Hudson House and much more. One can also consider joining their wine club which offers a variety of different options and prices based upon the exclusivity of the wine shipped. Even though Cabernet Sauvignon is a relative new wine of the 1700’s it has grown in worldwide popularity. French growers decided that they would crossbreed Cabernet Franc and Sauvignon Blanc to create an easy to grow and resilient grape. 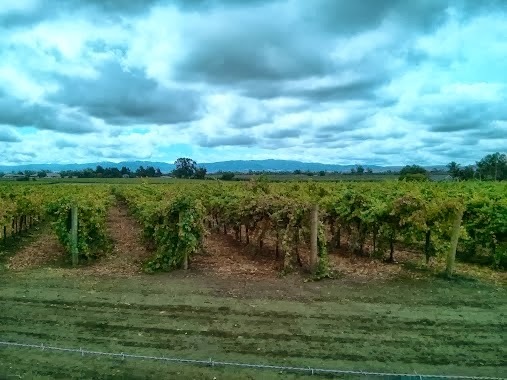 At first it took hold in the new homes and vineyards of California before becoming popular in other states who found it adaptable to their environments.